Home>Alternating Pressure Mattresses>Bariatric and Queen Size Alternating Pressure Mattresses >Bariatric Alternating Pressure Mattress 48"
8000 Series Bariatric Alternating Pressure Mattress 48"
The 8000 Series Bariatric Air Mattress is designed for patient comfort and advanced healing. 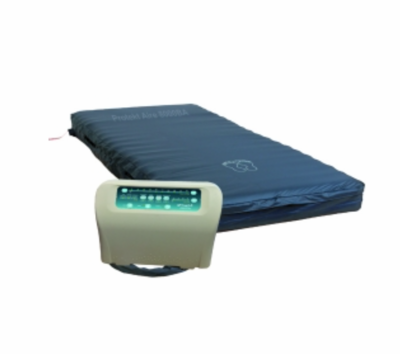 This 48" wide alternating pressure mattress system can fit over a bariatric medical bed frame or home care box spring mattress. The extended 48" width gives the patient extra room and provides care takers with a wider surface area to turn and care for the patient. This bariatric medical mattress is designed with a patented cell in cell design that prevents the patient from bottoming out in the event of a power failure. The 10" air cells are constructed of Nylon/PU for added comfort and support. The top cells "Pillow top feature" prevents head and neck from unnecessary movement during alternating mode. The seat inflation feature increases air flow by 20% to middle bladders to prevent the patient from bottoming out. Air Volume: 15 liters per minute. Cycle Time: 10,15,20 and 25 minutes, selectable. � Alternating pressure cycles of 10, 15, 20 & 25 allows clinicians to customize pressure redistribution and skin surface interface. 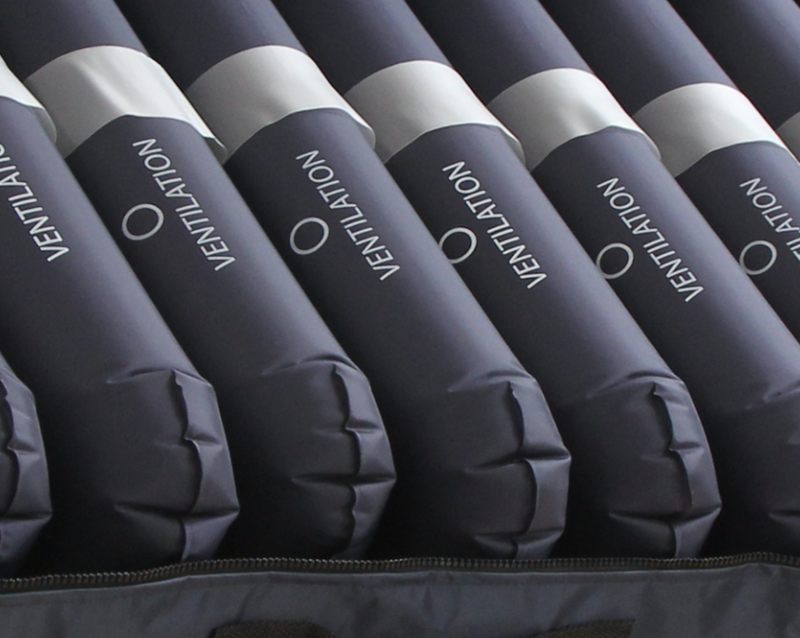 � Cell-on-cell mattress design prevents patient from bottoming out in case of power failure.